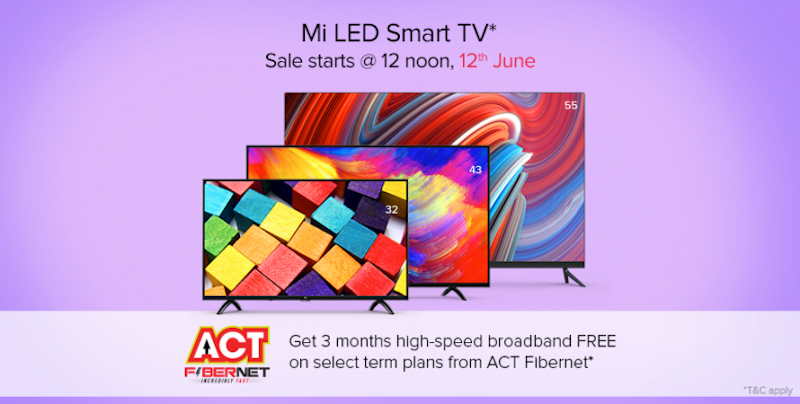 ACT Fibernet today announced its partnership with electronics brand Xiaomi to provide a free broadband connection for Mi LED TV users. As part of this collaboration, ACT Fibernet will offer specially customised broadband plans across Delhi, Bengaluru, Chennai and Hyderabad beginning June 12, 2018. Under this offer, the Mi TV users will get a one-month free trial of high-speed internet plans from ACT Fibernet. Post the trial period, users subscribing to any of the Mi TV dedicated plans for six months will receive additional two months of free broadband service. On the whole, the Mi TV users will get three months of free broadband service from ACT Fibernet. This offer is valid from June 12, 2018, to August 31, 2018. ACT will also provide 1000GB of free data for the users subscribing for six months, which will expire on December 31, 2018. Here’s how the entire offer works: After purchasing a Mi TV (any model), customer needs to share with ACT Fibernet via email to [email protected] the following details: Customer name, mobile number, city, proof of purchase (Order ID and Device Serial Number). All these details can be found on the box of the Mi TV, at the back of the Mi TV and also from within the PatchWall. After the user submitting details, ACT will validate the purchase and acknowledge eligibility of offer to the customer within two working days via email/phone. ACT will seek customer address and do a feasibility check. If not feasible, the Internet Service Provider will inform the customer within two working days. If feasible, ACT to offer the one-month trial to the customer on the select plans as mentioned in the image below. Do make a note that these broadband plans are valid in only four cities- Bengaluru, Delhi, Hyderabad and Chennai. Normally, ACT Fibernet is also offering these plans for normal users, but for Mi TV users, they are available at discounted rates. 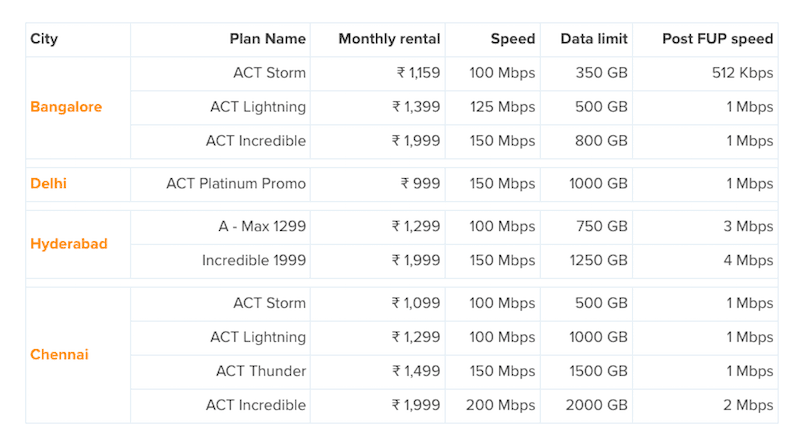 For Hyderabad users, the ACT Storm plan which is priced at Rs 1,099 gives 100 Mbps connection with 500GB FUP. The ACT Incredible plan of Rs 1,999 in Chennai gives 2000GB FUP at 200 Mbps speed. Xiaomi is currently selling three Mi TV models in India- the Xiaomi Mi LED TV 4 priced at Rs 44,999, the Mi TV 4A 43-inch model at Rs 22,999 and the Mi TV 4A 32-inch model at Rs 13,999. All the models are currently available for purchase on Mi.com and Flipkart.